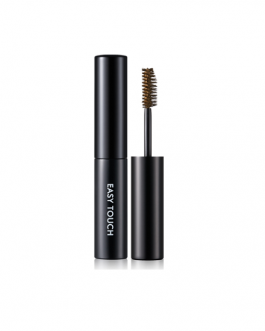 It is an amazing brow product, easy to use and great results! I already used up, like three of these pencils- that’s how good they are! Got this in #2 Taupe and loving it! At first I tested it on my hand and it seemed a bit hard to draw, however once applied on my eyebrows, it works like a dream! 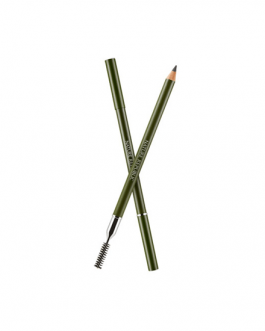 The pencil is soft and the pigmentation is light to medium so it is build-able. Colour #2 matches my hair colour which is black at the moment but I can see this working for people with medium to dark brown hair as well as it is a neutral brown-grey colour. It is very easy to work with and the lasting power is great! I have mine in #3 and it’s a very great neutral mid-tone brown colour. 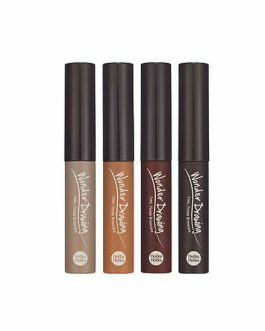 It’s nicely pigmented, lasts for the whole day and has a spoole to help blend out the lines of the product. I never used an eyebrow pencil with this shape before and when I got to use it I felt very clumsy, but it turned out it was very easy to manage and the result was very natural and put together. I think this has become my new favorite eyebrow pencil, I’ll stock up on them the next time I make an order. I’ve got the 04 Dark Gray and I’m very happy with it. I’ve got black brows and I made the correct choice because the color doesn’t look fake, not too dark not too light. It lasts all day and the shape of it makes it very easy to work with. The biggest plus is that you can build the color gradually because the pigmentation is light to medium. I don’t wear heavy makeup, but I still do my eyebrows and use a bit of eyeliner and I love this product! It looks so natural and it’s easy to build. It’s not hard to use and since it’s angled, it’s very easy for beginners too. This is my favorite! Love the product! It’s easy to apply and very convenient to carry! Its long lasting and easy to use. This worked really well for the cost. I like the brush a lot because it evens out the product so well. I might re-buy this if I am really close to the $50 for free shipping. Purchased this in gray 🙂 The pencil takes a while to get used to, but it’s a good product once you get comfortable with it! Love the brush on the end!! Great color payoff, and very easy to apply as with the spooly. It looks very natural, and a great basic eyebrow. Great product, and highly recommended!! My HG eyebrow product for now! I’ve tried everything from powders, micropencils, and flat pencils like this to find my favorite color and formula. I ended up coming back to this. It isn’t too soft where it will smudge with the slightest touch and not too hard where itis hard to draw with. I have really dense black brows and most products are too warm of a tone for me. I bought this in 05 Dark Gray and it’s the perfect color! Not too warm and not too ashy either where it makes my brows look fake. I use this to fill in some sparse areas, and it shows up somewhat lightly and naturally. It lasts long enough on me, too. I don’t know how it will work for people with more to shape and fill. The precision you can achieve from the thin teardrop-shaped tip is in between what you can get from a sharp brow pencil vs. brow powder + brush. My favourite eyebrow crayon! Matches my natural brows perfectly and is easy to use. Great value product. Will definitely repurchase. My favorite brow product! 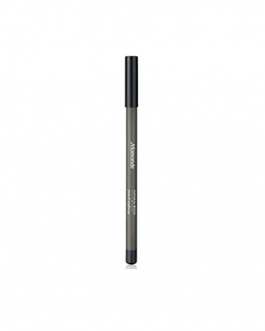 I love the angled tip of this brow pencil, making it really easy to elongate my brows and fill in the arch. The spoolie is one of the best I’ve tried, and really helps to disperse the color. Cheap, easy to use and very good lasting powder! The spool is very useful to blend any harsh lines! Will buy it again! It is a good eyebrow pencil. I have never used an eyebrow pencil like this one before. It gives you a natural finish. It is quite hard to use at first, you can make a mistake pretty easily. I have bushy and thick brows so i don’t need that much precision but if you have thin eyebrows this pencil might be a little bit challenging to use. A great product with great pigmentation. The angle is nice but can take som time getting used to. Amazing value and a nice variety of colours. Used this on my friend and she loved it! Great eyebrow pencil! Easy to use and lasts quite a long time. I have a medium brown, slightly auburn shade of hair and I bought this in taupe, and it is the perfect shade for me! The quality of the product is amazing – it goes on smoothly and blends with the hairs nicely. Having the brush on the other end is very handy as well! I purchased this in 03 Brown and I have to say I am quite pleased with the colour. It is not too dark nor too light, so it would suit a wide range of brown hair shades. It is easy to apply, very pigmented and the brush it comes with makes it look very natural. I have dark gray and it goes quit well with my black hair. easy to use and its so cheap also. It is so easy to apply.It looks really natural when you apply it and it’s long lasting. Once you have applied it, it doesn’t smudge at all unless you use a makeup remover or cleanser. And it’s really really cheap. My HG eyebrow pencil. I bought this for my mom but I used it once and it was really easy to control and it worked so smoothly! Best eyebrow product that I’ve gotten, it’s also much cheaper than any of the top U.S brands! I bought #2 Taupe and am pleased with my purchase. Like other users, it seemed a bit hard to draw when I tested it on my hand, but after applying it on my eyebrows it worked very well. I lasts all day and I would buy it again. I bought shade 02 Taupe and it’s a great cool toned brown. The spooly works amazing. I don’t like soft pencils but this one is too stiff for my liking, i have to press quite hard to draw on my brow hairs. Overall, for the price, i would recommend it. Love it!! It looks so natural.Once you apply it doesn’t budge at all unless you use makeup remover or cleanser. And it is super affordable as well. I got the shade 03 brown, but i find this a little to light for my black hair. I like how it’s angled because it makes it easy to get the angle at the ends of my eyebrows. I also like how the formula is a bit hard, so you can draw natural looking brows. I think people that are new to drawing eyebrows would find this product easy to use. I would recommend this product because its worth it and it’s easy to use. I got dark gray. Easy to use, very quick and convenient! I bought the shades 02 Taupe, 05 Grey, and 06 Black to suit my dark eyebrows. I would totally re-order since these pencils are smooth and blend able and the screw brush on the end fixes every hair in shape. I have bought this multiple times because it’s a good price for this quality. Good color selection, easy to use, and the spoolie on the end makes it easy to blend in. Great natural colours and I love the little eyebrow brush that it came with. The lid broke after a while in my makeup bag though. Takes a light hand, but it blends in great with the brush. I got the dark brown and it works really well. It looks natural! I got No.4 Dark grey and I really like this eyebrow product. Its super easy to use and very beginner friendly as it isn’t too pigmented. The colour is buildable and very natural. I would recommend No.4 for people with black hair who want naturally filled in eyebrows. Love the colour range and price is great for what you are given. The angle of the pencil really helps in shaping the brown. I got the taupe but it seems like just a dark brown. Still a great product though. And love the dual ends. i used to use aritaum matt fomular one but i want to try new one. so i oder this product and im kinda disappointed. First, the shape is not flat like pic. this is triangle shape. i thought this product is also like aritaum one but it isn’t. so, it’s little bit difficult to drow for me. however this product is more soft and clear color. I bough light brown when I was traveling overseas but accident. At first, i thought it was a little too light for my hair color but it actually merged it well with my natural black hair. it makes my overall makeup look softer. Color might not show as much if you have darker hair color but it’s easily build-able. Great price with matching quality. LOVE! My go to eyebrow product, I love it! It’s at a good price and works every well. I use the shade taupe and it looks very natural. I highly recommend it! I have dark brown hair and bought taupe this time. It looks very natural, and it’s easily removable when washing up. I have the dark grey one and i love it. Though it doesn’t last for the whole day because i sweat a lot, it is an excellent product for the price. Got No.2 Taupe, just the right shade for my black hair color. With a light hand it looks very natural! Got Dark brown, it’s good for all people with natural dark brown/black hair! 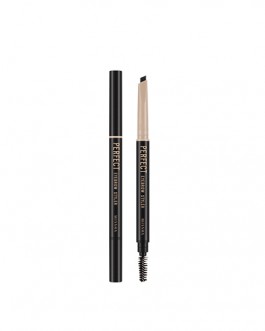 this is a great and affordable brow product. I got it in Taupe and its the perfect shade for me. I have dark brown hair and this product looks very natural. Its also buildable if you prefer darker brows! 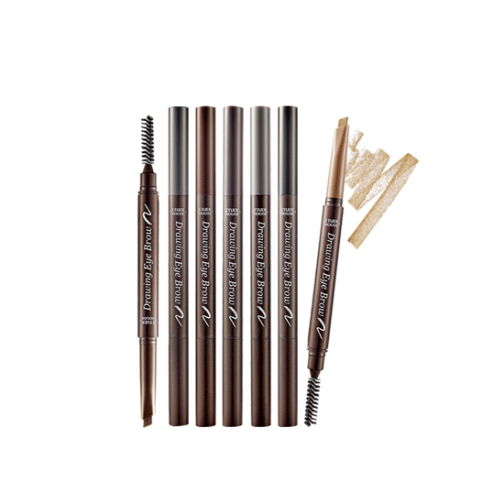 lovee it.. this is a great and affordable brow product. I absolutely love this! It gives a very subtle but more filled in, natural look to my eyebrows, and just the right shade (my eyebrows are dark brown/black). It’s fairly easy to draw with, it has a slanted edge with one side being thicker to change the thickness of the lines you draw. Once I smooth out the lines with the brushed end, its perfect! Love this! Will definitely be order more of these! And I love the brush that comes attached on the other end. PERFECT! Very soft and lasts ok throughout the day. Spoolie is decent. Brown is a little too red based for me but otherwise alright. my all time favorite so will keep ordering in future. I love using this when I’m in a hurry and don’t have time to apply ABH dipbrow. It’s easy to use and they have a range of colors and very affordable/ cheap. Highly recommend! I have got the color 04 Dark Gray and it matches my eyebrow color. This is a discrete everyday eyebrow that doesn’t smudge or fade for the whole day, I do recommend. Great product at an affordable price! Will be repurchasing this again for sure. Works well and affordable price. A really great deal, especially for the price! The crayon part is pretty pigmented and allows you to build up the color and is very easy to draw with. I use the Taupe colour and it looks very natural (I have a medium complexion with black hair). I love that it comes with a screw brush, so it is really handy for travelling. This is a great beginners’ product as it is easy to use. I’m already on my second one. It is a very cheap product!!! Very affordable!! Great eyebrow product at great price. It is cheap and does what it needs to do. Obviously there are better products with smoother application but they are priced higher. One thing that bothers me about this product is that for some reason, all the caps end up cracking so they become loose and just fall off. Perfect to draw my own eyebrow, I love it ! Easy to use, cheap with great quality! All time favorite brow product. 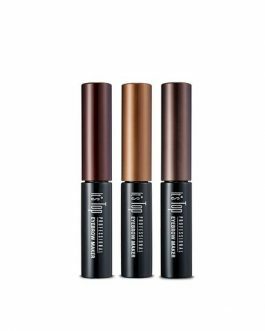 I noticed an amazing difference in my brows as soon as i used this definitely saved me time since this product is really easy to use and it last all day and doesnt fade! I use this everyday! It’s cheap, works well, and lasts forever! The colour Dark grey is perfect for my non-dyed Asian black hair. It doesn’t have amazing lasting power, but it looks so natural that I don’t even care. I get the grey shade and it works really well for me. I can draw my brows really quickly with this which is such a must for this mom of 2. It lasts all day and gives me a very natural look. It makes such a difference in my overall look to have this. Another product I add to any order that I make especially because its such a good price. 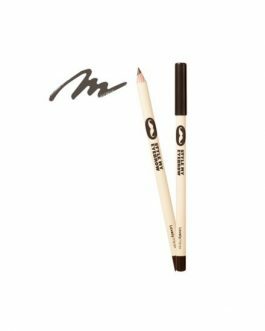 this product is very easy to use and it makes my brows look quite natural (for a long time) ^_^ it’s so affordable and one pencil can last you quite a while! I got Gray, and it gets the job done with a bit more effort. I like that it comes with a spooly at one end, and that you just twist up and down the product on the other. But the cap for the end with the color is so hard to take off. Life changer, I really like everything about this product from formule to the spooly. Second time buying this product, great value for the money. I only use it to fill in my brows I little bit, but I think it’s very good, especially if you’re a beginner. I really like the brown and taupe ones. They’re light so it doesn’t make my brows too dark, and I like how it’s like a pen so it’s easier to hold. Takes a bit of effort to build up though. I got it in dark gray and while I do love the spooly on this, the product itself isn’t amzing, it does the job but it’s a little streaky. Very buidable and light and natural. Does a really good job. The best eye brow pencil I’ve used. It’s very cheap and the pencil itself lasts a long time. I like to just fill in the spots of my eyebrow where the hairs are sparse and it looks very natural, the spoolie it comes with is very good to brush thorough the eyebrow before applying and after it’s applied it helps to blend everything. 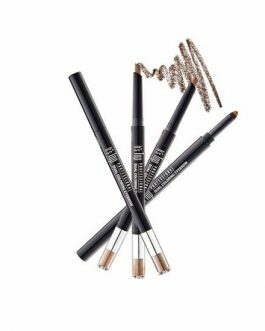 CULT FAVOURITE FOR A REASON – This eyebrow pencil is my ride or die. Its less than $3 yet its long lasting, natural looking, very user friendly! The pencil itself lasts so long, at the very least 4 months with everyday use!